When designing the 2019 Toyota Camry, Toyota decided to depart from the conservative styling seen in many competing midsize sedans, such as the Nissan Altima. Midsize sedans have a reputation for being boring to look at and boring to drive. The new Toyota Camry breaks the mold in both areas. 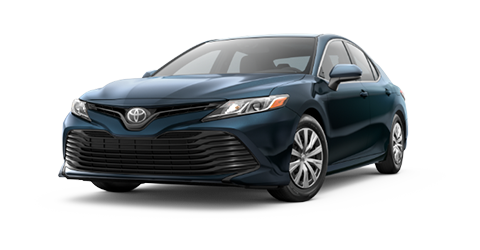 Not only does the 2019 Toyota Camry feature aggressive and sporty styling, it's also well-equipped with practical exterior features. The Toyota Camry features standard Daytime Running Lights unlike the Nissan Altima. It also has a standard rear defrost feature which can really come in handy on those cold winter days in Columbus. The 2019 Toyota Camry even includes standard auto-off headlights that make driving at night a little bit more convenient. Visit the Rivertown Toyota dealership today to take a look at the striking 2019 Toyota Camry. Take a test drive today and discover a new take on the midsize sedan segment. The interior of the 2019 Toyota Camry represents all of the qualities that the cabin of a midsize sedan should: space, comfort and a touch of luxury. Few competitors manage to blend these 3 themes into a coherent interior design. The Toyota Camry's interior, however, has been widely praised, and for good reason. Many competing vehicles have relatively cramped rear seats that are only good for small children. The 2019 Toyota Camry has an abundance of space in the back - more so than the Nissan Altima. The standard driver's seat lumbar support provides more support than the Altima's driver's seat. The new Toyota Camry even offers optional leather-trimmed upholstery for a premium experience. Come into the Rivertown Toyota car dealership in Columbus to experience the well-balanced interior of the new Toyota Camry. Visit us for a test drive today. While competing sedans like the Nissan Altima do feature these driver aids, the 2019 Toyota Camry goes above and beyond with the standard Toyota Safety Sense™ P package, which includes programs like Lane Departure Warning and Lane Keeping Assist that the Nissan Altima doesn't have as standard features. Get all the info on the safety features of the 2019 Toyota Camry. Don't go searching for a less safe sedan like the Nissan Altima. Stop by Rivertown Toyota today for a test drive. The 2019 Toyota Camry could probably get away with being boring to drive. Many midsize competitors, such as the Nissan Altima, offer lackluster driving experiences and still manage to be decent family sedans. Again, the 2019 Toyota Camry goes above and beyond what is expected from a vehicle in its class. The standard 2.5L 4-cylinder engine in the 2019 Toyota Camry kicks out an impressive 203 horsepower, which is considerably more than the lethargic 188 horsepower produced by the Nissan Altima's engine. The 2019 Toyota Camry includes a standard 8-speed automatic transmission that is noticeably more responsive than the CVT transmission found in the Nissan Altima. The new Toyota Camry also has a standard front-wheel drive system for a stable, yet joyful driving experience. Take the Toyota Camry out for a spin at Rivertown Toyota, Columbus' local destination for fun and practical family vehicles. Schedule your test drive through our website today. The inventive technology found in the 2019 Toyota Camry rounds out a thorough approach to automotive excellence. Drivers these days expect a certain level of technology from all new vehicles, and the 2019 Camry exceeds expectations yet again. 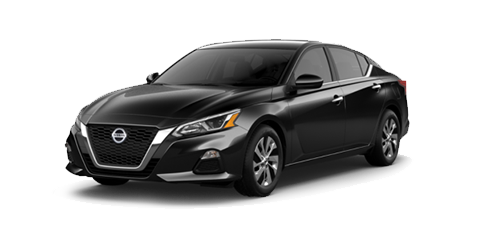 Its powerful and ergonomic technology puts competitors like the Nissan Altima to shame. The new Toyota Camry includes standard hands-free phone compatibility unlike the Nissan Altima. It also includes standard Apple CarPlay™ compatibility. The optional Wi-Fi hotspot allows occupants to stay connected from anywhere with an available 4G LTE mobile network. Drivers in Auburn-Opelika, AL, LaGrange, GA and elsewhere in the Columbus, GA area can try the innovative technology in the 2019 Camry for themselves. Swing by Rivertown Toyota today for your test drive.